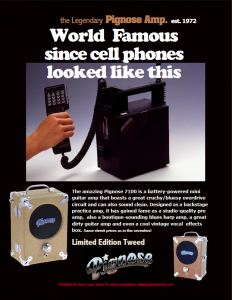 How long has Pignose been making amplifiers? For over 40 years - since 1972 to be exact. The first Pignose amp debuted at the 1973 Summer NAMM show. We've been going strong ever since..